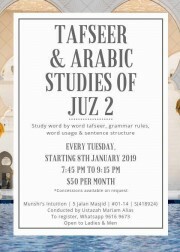 The objective is to understand the Juz 2 as we read. 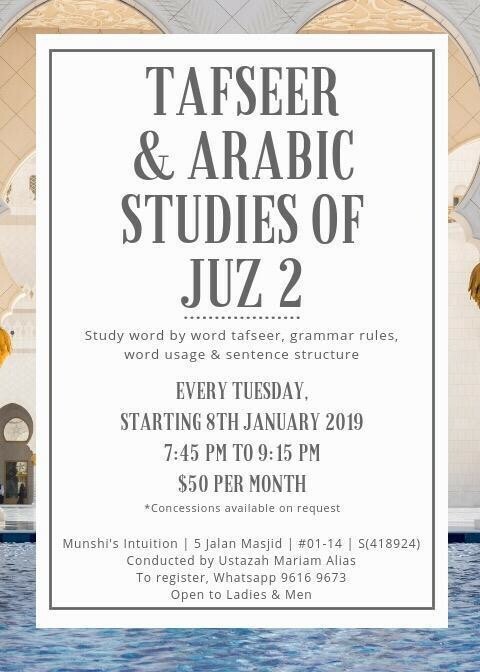 We will learn the use of Arbic words and Qur'anic grammar. We will also go through the tafseer of the verses. Lessons are on PowerPoint and books will be provided free. Use your Prayer as a source of strength, inspiration and enthusiasm for your life and activities.